The electric Kia Soul is due to go on sale in the UK in October 2014, with prices set to rival those of other electric vehicles. 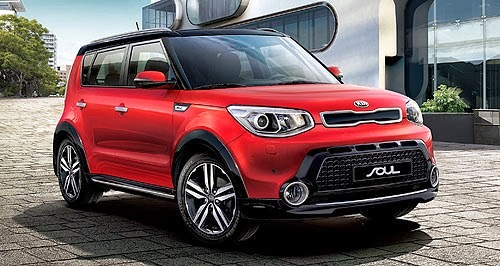 Yaser Shabsogh, Kia’s UK Commercial Director, has confirmed that the electric Soul will be offered in the UK, but not until the end of 2014, some months after the arrival of the new Soul in early 2014. He said the projected prices were based on the assumption that the car would be sold with a battery, rather than via a leasing scheme. Kia is yet to decide whether to lease or sell the battery. The car, which Shabsogh says will have a "low-to-mid £20,000" price tag, will also be eligible for the government's £5000 electric car grant, assuming the scheme is still operational as the car goes on sale. Kia UK will use it to demonstrate Kia has cutting-edge EV technology available. It is not going to be priced to try to stimulate demand. We won’t be selling hundreds of them – maybe a couple of hundred, mostly in the key metropolitan areas.